Goodman, 33, one of the most conservative members of the chamber, offered an apology, but did not provide details. “Serving as the state representative for the 87th Ohio House District has been one of the great honors of my life,” he said. “We all bring our own struggles and our own trials into public life. That has been true for me, and I sincerely regret that my actions and choices have kept me from serving my constituents and our state in a way that reflects the best ideals of public service. House Speaker Cliff Rosenberger, R.-Clarksville, reportedly asked for his resignation. The 87th District includes all of Wyandot, Crawford, and Morrow counties, part of Marion County, and a portion of Seneca County. He worked for U.S. Rep. Jim Jordan, R-Urbana, from 2007 to 2013 and ran for the Ohio House in 2016. 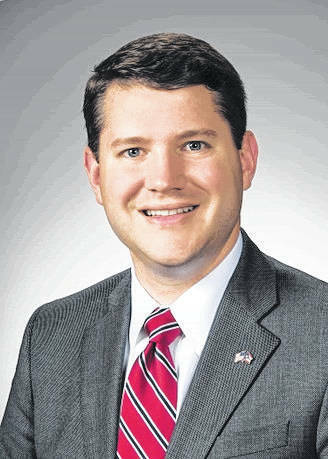 Goodman was appointed late last year to replace Rep. Jeff McClain (R., Upper Sandusky), a term-limited lawmaker who resigned to take a job with the Ohio Chamber of Commerce. Rosenberger said a screening panel will be formed in the near future to select a new member for the vacant seat.